Le restaurant - bar à vins Le Chenin a emprunté son nom au cépage blanc de vigne originaire de l’Anjou. Il vous accueille autour d’une bonne table pour un bon repas avec une bonne bouteille. 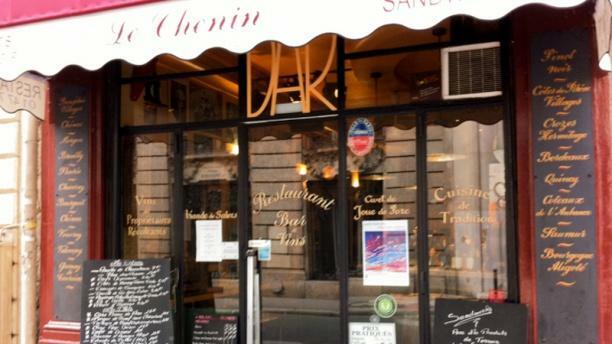 Le Chenin a pris racine dans le 9e arrondissement de Paris. Vous découvrirez un cadre original. Les murs jaunes sont littéralement tapissés de photos en noir et blanc d’acteurs et d’actrices, et d’objets divers et variés. Un charmant bric-à-brac ! Voici une adresse qui porte bien son nom ! we had a perfect evening!!!! It lives up to all of the previous great reviews! Superb service, excellent food and stunning wine - need I say more? The végétarien option is very reduced but my friend was very satisfied with the meat. Expensive glass of wine. The ambiance is perfect for a French pariasien experience . It was really good, we ordered raw beef with cheese and canard, they were both good. Plus there are plenty of wine selection. No disappointment. They ran out of poulet for the first seating of 7pm, otherwise it was lovely. The place had a warm, Hollywood-type motif but can get crowded and noisy when it is full. Fine. We had fun sitting so close to everyone else. Very good food and awesome service. They took the time to go over the menu with us in English. Even on a Tuesday for lunch we needed a reservation for this popular spot. Highly recommend. Nice and cozy restaurant! Staff were friendly and were very patient in translating the menu for us. Highly recommended! Nice & cozy restaurant. Friendly staff and feel being welcome. Excellent food quality with reasonable price, worth the money. For sure will visit the restaurant again next time visit Paris.